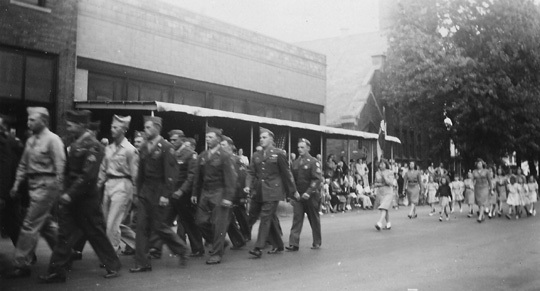 The photos below were generously provided by Earl Niestradt. 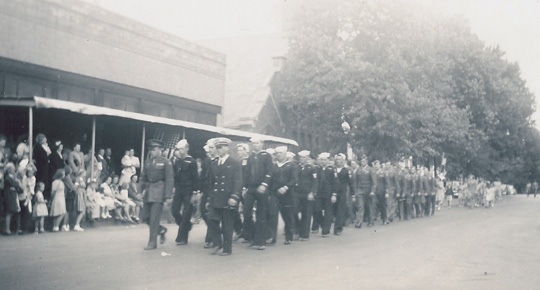 Arenzville honored its servicemen and women with a parade through the streets of the village in 1947. 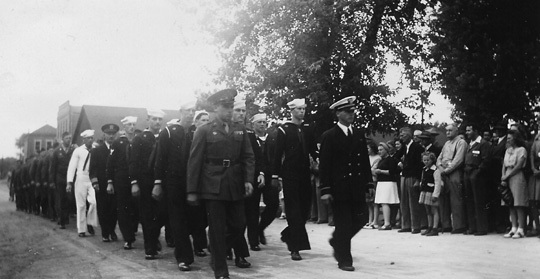 Can anyone tell me more about when this was and the identities of people in these photos? Write with details to webmaster (at) burgoo.org or Molly Daniel, 703 Eastgate Drive, Charleston, IL 61920. 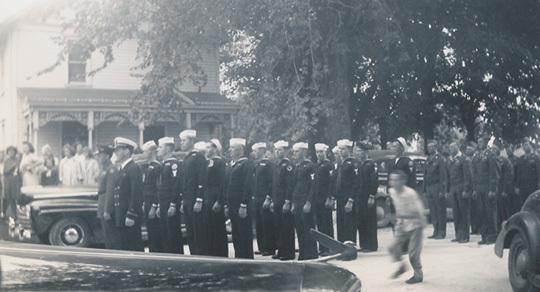 Above, front row, left: Clifford Thomas. 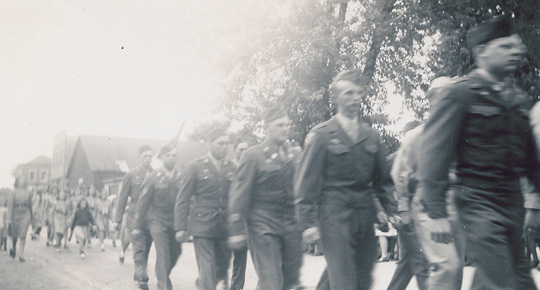 Right side: Robert Clark. 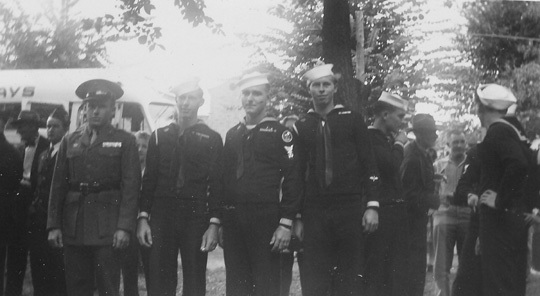 Above, from left: Clifford Thomas, Dale McCloud, Earl Niestradt, Wayne Kolberer, Fred Ore, and Wendell Peck (turned away from camera).